I was very close to going brunette again, but have been persuaded to stay blonde. My hairdresser reckons that I should try a temporary pastel colour through my locks, but I'm not convinced. Firstly, I wouldn't get away with purple or pink hair at my work and secondly, I just don't think I could pull it off. I'll perhaps give it a go during the holidays when I'm not in the office!! I've been getting lowlights at my past few hairdressing trips as I thought it would help eek out as much time as possible between visits, but it's just making me like my hair less and less. It's all a bit 'meh' at the moment. Next visit I'm going platinum again. 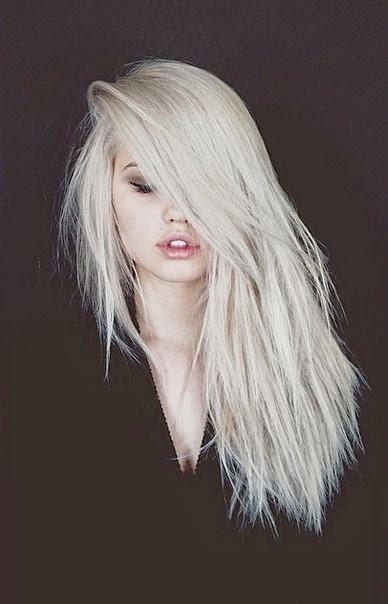 YES to platinum. 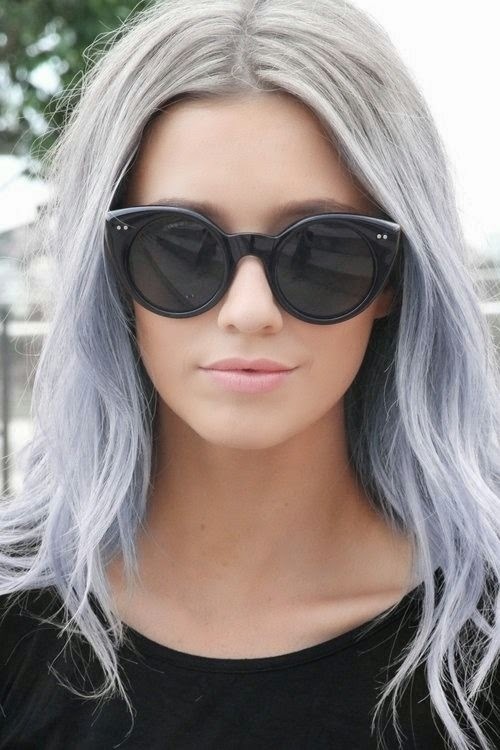 I want grey hair...is that weird? I quite fancy grey too... not weird in the slightest. On trend right now I believe?